Finding the perfect vacation destination that the whole family will love can be a tricky task. However, you can’t go wrong by choosing to take a trip to Yosemite National Park! One of the most beautiful spots in the country, this scenic spot contains amazing things to do for all ages. An activity that your entire family can enjoy together is taking a tour with Yosemite Family Adventures. This fantastic company offers a wide selection of different tours, so you and your loved ones can experience this incredible destination to the fullest. Learn everything you need to know about taking a tour with Yosemite Family Adventures and book yours today! Yosemite Family Adventures offers all kinds of tours to ensure you and your family have the best time possible in Yosemite National Park. These tours include Yosemite guided hiking tours, fishing excursions, sightseeing tours, and even Yosemite stargazing. Each and every member of your family will love these Yosemite family activities. Another great feature of Yosemite Family Adventures is you don’t have to worry about them shutting down after the busy summer is over- they offer tours all year long! Their numerous winter tours are just as much fun as the ones held in warmer weather. You get to see the magnificent Yosemite National Park all covered in snow! One of the best perks of reserving a tour with Yosemite Family Adventures is that these excursions are designed to suit all ages and skill levels. You won’t have to worry about your kindergartener not being able to keep up or your elderly relative getting too tired. These tours are meant to accommodate all ages so you can all spend some quality time in the great outdoors together. Yosemite Family Adventures even offers a “Build Your Own Adventure” option so you can create a tour designed specifically for your family! 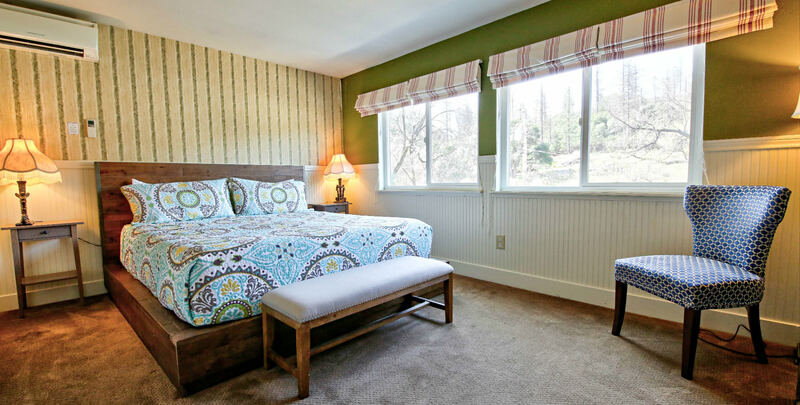 You and your family will want to stay in the finest accommodations to complete your Yosemite experience! Come see what it’s like to stay in Hotel Charlotte, a historic bed and breakfast in Groveland, California, located at the gateway of Yosemite National Park. We offer luxurious lodging and outstanding amenities; we can even book you a Yosemite private tour, as we are partners with Yosemite Family Adventures. Your guide will pick you up from our lovely hotel, take you straight to the park for your day of fun, and bring you back when your tour is complete. Here at our bed and breakfast, you can choose from staying in one of our twelve lovely rooms or renting one of our cozy apartment rentals, which have the perfect amount of space for families. We also have a beautiful living room, friendly and helpful staff, and even our very own Fork and Love Restaurant to accommodate all of your needs! Don’t wait another minute to start planning your dream vacation; check our availability and book your stay today! Download our free Vacation Guide today! This is your ultimate resource for the many things to do in Yosemite as a family!